My Wunoff silencer has a tube through the centre line and it's fixed at one end and slips over a spigot at the other - and rattles like pig! Luckily it rattles at about 3,900rpm and as long as I bring the revs up briskly to >4,500 and then let them drop slowly to test speed, the meter seems to read a lower figure than if I raise the revs slowly through the critical point of silencer rattle. I have pulled the tube on a number of occasions and squeezed the end to tighten it over the spigot, but I risk making an already difficult re-assembly impossible if I over do the squeezing. My Pinto regularly returns a 98dB(A) figure or thereabouts. I’ve had a problem with my repackable exhaust; the inner perforated tube rattling against the matting tube in the end cap - usually within 500 miles of a refit. I tried exhaust paste, stainless clips, aluminium tape etc with no improvement, my latest ‘solution’ is high temp RTV and with well over 500 miles covered since the last repack - no rattle. Well jonjh, that's interesting, thanks for the info, because the Wunoff chap suggested that when I first had the problem but I didn't believe that a silicone, despite its well known heat resistance, would survive. May I ask which end of yours has the removable cap? Mine is at the 'cool' tailpipe end with the perforated inner tube attached which means that the rattling end is at the 'hot' end. Cooler tailpipe end , the RTV was some +700 deg C that I had left over from another job although I’ve been told any silicone/RTV would be okay. i thought mine was rattling at the other end but having taken it apart the front end was welded up so couldn’t have rattled. I RTV the cool end only and the rattle has gone. Added comment about welded front end cap. Ah yours is newer than mine then - Wunoff said that they had reversed the assembly to make it easier to put back together. Mine is a pig to reassemble as it's a very dark black hole that you're trying to poke a long pipe down and over an invisible spigot. Hence my reluctance to take it apart! You can see the screws on mine in the picture. The front end is rivetted. Mine has screws at both ends which makes refilling with acoustafil relatively straight forward. Car Details:2010 widebody, 2.0L Zetec. Thanks for all the information, guess the only way to know for sure is to test it. Having bought the car not built it i have little idea what parts have been fitted..ie exhaust type/make so hard to gauge based on comparisons. Apps aren’t very accurate. The measuring technique differs from track to track, you’re much better off to go to Bedford (other tracks are available) and ask them to test it, that’s what I did. Or come to the Cadwell day where the noise limit is very high and get it tested then. FWIW IMO a “standard” zetec, with a decent sized and packed can shouldn’t be a problem. Russ, was your car tested for drive by at Bedford and did it pass? 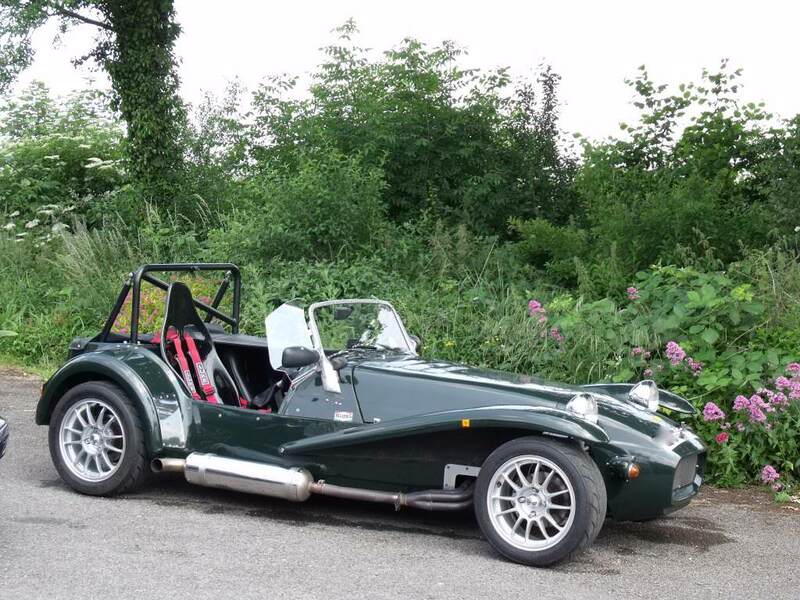 I think my Westfield is a similar spec to yours so I wondered if mine is likely to be ok at Bedford. It’s a track I would like to do some time. They tested it static and let me know if have no problems. I’ve been back at Bedford in it multiple tones and never even had the noise warning board they give when you are getting close on the drive by. Done Bedford a few times..warned that was near limit on the pick up on outside of track due to exhaust on right side..short shift and problem solved.. had passed their static test no issues..